Although there were raised eyebrows over my move from print media to online with The Sun, I was not the first to head that way and will certainly not be the last. The influence of online media is growing on a daily basis and although a lot of newspapers have their own websites, many do not know or understand the beast they are dealing with. The Sun has already forged ahead with many initiatives, such as My Sun and Sun TV, but has not lost sight of the fact that content is king, which is why the core staff consists of experienced journalists who do not simply rely on the newspaper, but who can generate their own stories and features. Editor of 3 to 17 pages of The Sunday Times Sports section on a weekly basis to severe and demanding deadlines. 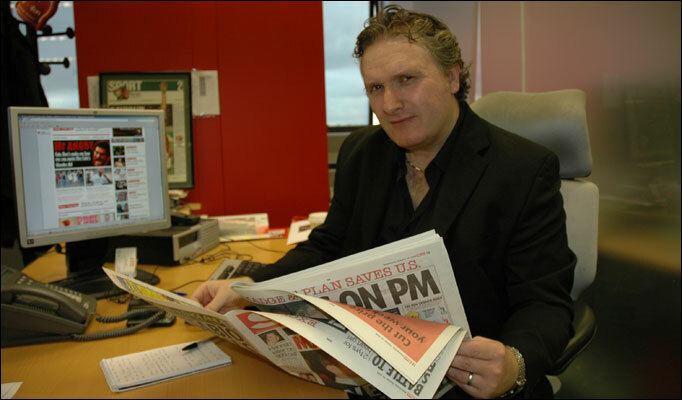 Responsible for writing and/or commissioning of front-page news stories. Other editorial duties included commissioning of features from staff and freelance teams, design of own pages and overseeing design of special spreads. Acting as news journalist while running football desk from office. Have also been Assistant Editor of Sunday Times supplements France 98, Euro 2000, Japan-Korea 2002 and Euro 2004 as well as all season preview supplements. Sports Desk: Initiated Sport On TV column and responsible for column for 18 months. Wrote News Focus including its time of transition to On The Record. General subbing and reporting duties.